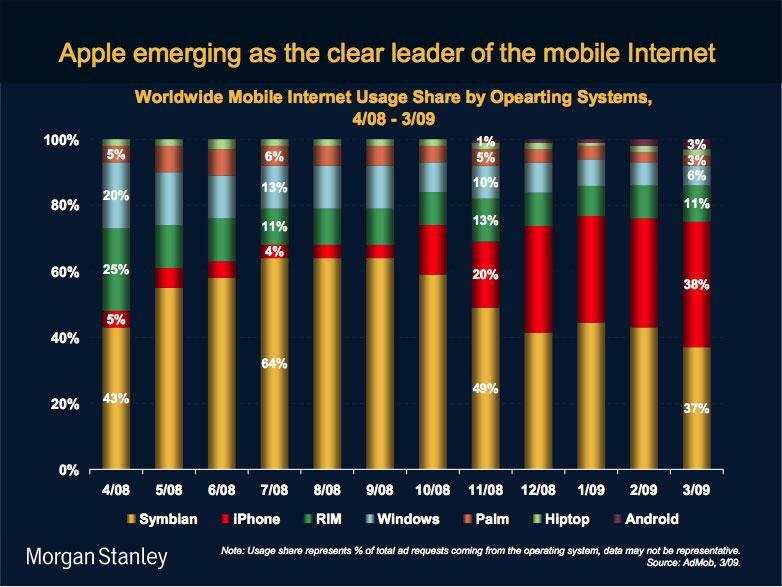 Although Huberty believes Apple will only manage to garner a 2% share of all mobile devices —or 15% of the smartphone market —by year's end, she notes that the iPhone has already captured a commanding 38% share of mobile internet operating system usage. 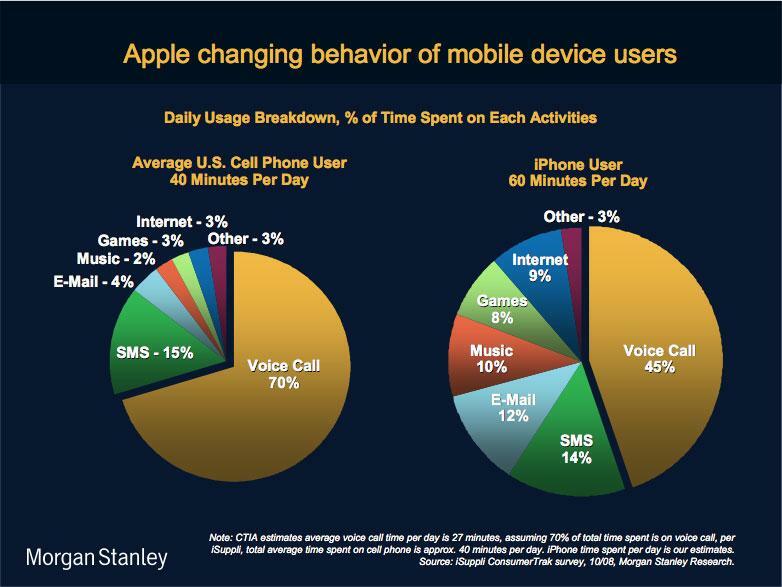 "[D]ata usage on the iPhone is 6-10x, and application downloads are 100x other mobile devices —suggesting to us that Apples market share will continue to expand as mobile Internet adoption continues to rise," she told clients. 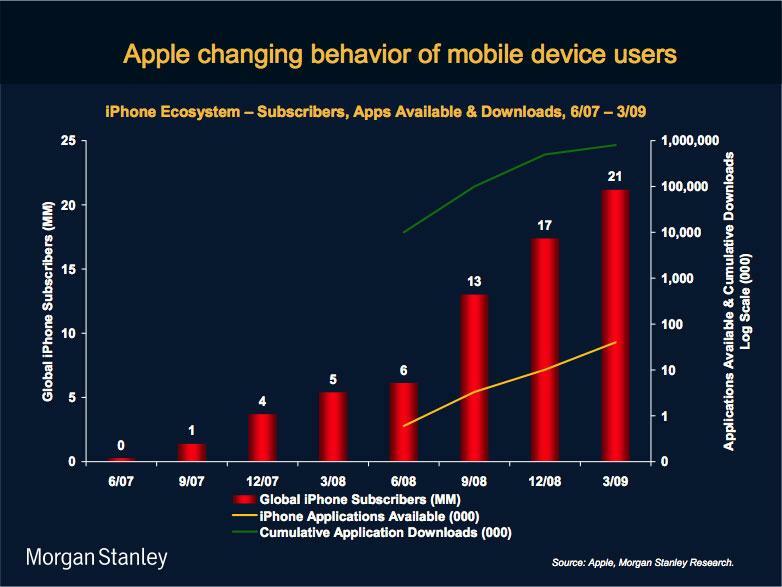 "Even looking at Apples own history, the iPhone has already proven to be a more meaningful growth opportunity." "Putting all the pieces together, our base case assumes 9.9 million unit shipments in [the third quarter] and 24.8 million for the full year 09 vs. consensus of approximately 18-20 million units," Huberty wrote. "For , our base case assumes 36.2 million units which we believe is materially higher than market expectations." "The core of our stock call is that the iPhones success and higher margins will begin to mute the fundamental margin and growth risks in Apples core Mac/iPod businesses," she told clients. For calendar year 2010, Huberty now estimates Apple's GAAP per-share earnings to come in at $7.50, up from $5.52, while non-GAAP earnings surge to $9.00 from $5.52.